A mellow, rich & complex green tea expertly blended with prime harvest teas sourced from the foothills of the mighty Himalayas. Discover a delectable flavour of sweet green & vegetal notes in every sip. Smooth, healthy & delicious. 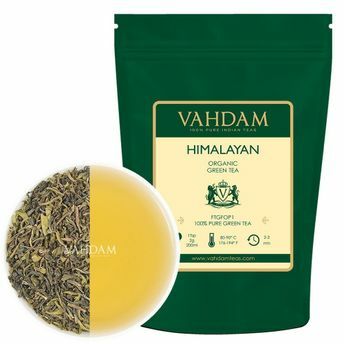 Green Teas from the Himalayan region, preserve all of the natural goodness in them. Handpicked from only the high-elevation estates, minimally processed to retain the maximum amount of nature's anti-oxidants and flavonoids, this exclusive Green Tea blend comes with 100+ health benefits.